Providing learning pathways for your child, starting from concrete concepts to more abstract ways of thinking. At Norbeck Montessori in Rockville, your child will have the unique ability to take in everything in their environment, both consciously and unconsciously. Your preschool child uses this information to construct themselves as they develop into independent, thoughtful beings. 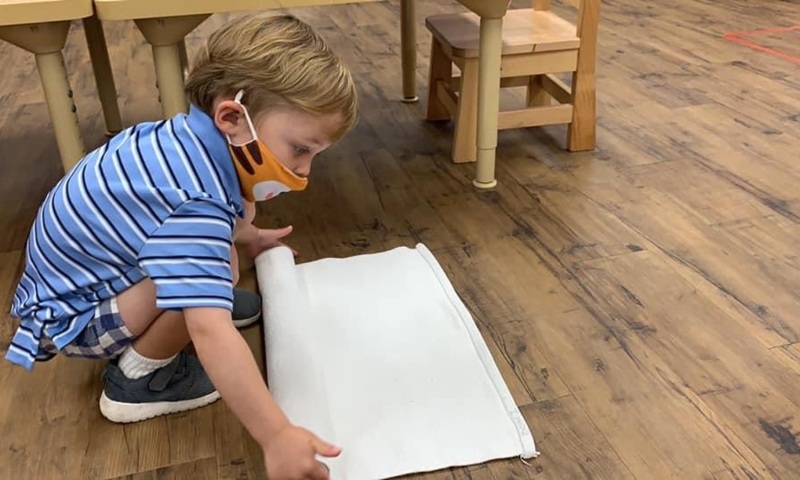 Maria Montessori described this as the “absorbent mind.” Norbeck Montessori has prepared our Rockville classroom environments with Montessori materials and lessons that enhance your child’s ability to absorb knowledge and develop a love for learning! Have a question or want to learn more before you apply? Give us a call at 301-363-7009 or fill out our online contact form. At Norbeck Montessori, children are constantly learning from one another and learning because of one another. Our multi-age preschool classrooms enhance learning, with children ages 3, 4, and 5 working together and building skills together. In true Montessori fashion, our younger primary preschool students get a chance to look ahead and see what is coming next by watching and aspiring to do their older classmate’s work. Older students have the opportunity to be the leaders of the class and help reinforce their knowledge by sharing it with their younger classmates. The multi-aged preschool setting we have in Rockville also provides the Norbeck Montessori children with opportunities for broad social development. Interaction with each other teaches students how to get along with children of different ages and abilities, respect for other’s work and workspace, and courtesy. By taking an active role in maintaining their classroom students form a thriving community where everyone is treated with respect and dignity. The best way to get to know Norbeck Montessori is to visit our classrooms in person! Schedule a tour for a time that works for you. The role of the teacher in the Montessori classroom is to guide and observe the individual interests and needs of each child. Through observation, our highly qualified teachers are able to design an individualized learning plan specific to each child’s needs. Each Montessori classroom is set up specifically for the children in that classroom and as their needs change, so does the classroom. 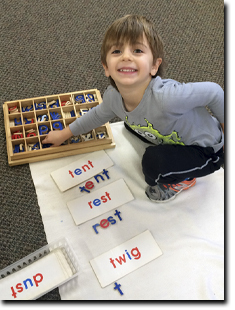 Our Montessori teachers are trained to recognize periods of readiness. Each child’s progress is not compared to the achievements of the other children. Through this non-competitive environment your preschooler will gain confidence in him or herself and experience an intrinsic feeling of success. Learn more about our amazing faculty and staff or meet them in person on a tour of our classrooms! Consistency and order are musts in the life of a preschool child. However, flexibility is a must in the life of a parent! Norbeck Montessori recognizes this by offering a five-day-a-week Montessori preschool program for the children with a variety of schedules to meet the needs of the diverse work and life schedules of Washington, DC area families. 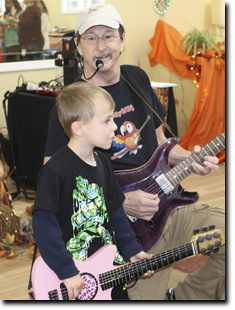 Our Primary Preschool program is offered as either a half-day or full day program. Our youngest children will travel to our Nappers room. Here they will be able to sleep in a dark, quiet room on their own cot and nap mat. 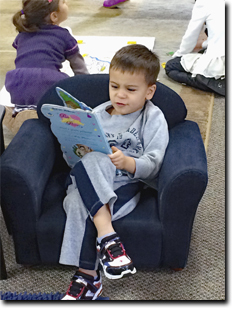 Preschoolers who have outgrown their nap will join the Afternoon Activities Group. 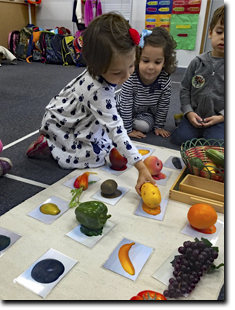 This is a structured environment with themes including art, music, movement, and much more. Our 4-year-old preschoolers (four by September 1) will take part in our Junior Kindergarten Class. This is a continuation of Montessori lesson time, extending the skills taught in the morning. The Junior Kindergarten program will focus primarily on math, reading, and writing skills helping to ensure your child is ready for Kindergarten. The Big K Class is for all of the five-year-olds (five by September 1). This is a time for all of our Kindergarteners to have class together while continuing to use the Montessori lessons. An emphasis is placed on math and language skills, taking our Big K kids to new heights. Although every child is different, our kindergarteners typically read and practice math on a first or second-grade level. Are you ready to see us in action? Or do you just have a few more questions? Either way, we would love to speak with you. Visit our Information and Tours page to ask a question or schedule a tour. Enrollment opens every January for the upcoming summer and fall sessions and we take applicants on a first come first served basis. For links and instructions on how to apply, click here. Is Norbeck Montessori Preschool Near Me?